| Healthy Living Articles | Food and Meals | Making Fruits and Veggies Fun! Getting your kids interested in eating fruits and vegetables, let alone trying new ones, may seem like an impossible feat but it is possible! What I’ve learned over the past few years by teaching children in schools about healthy eating is that involving them and making it fun to try is the way to go! If you’re ready to see your kids eating more of the good stuff, try one (or all!) of the tips below. It may take some flexibility and effort on your part, but in the end, isn’t it worth having your family munching more on fruits and veggies? Start a scavenger hunt with your kids in the produce section! Choose a fruit or vegetable that your family hasn’t tried yet and give your children clues about the mystery produce item. Examples of clues could be the color, shape, size, or first letter in the name. For a simpler scavenger hunt, just have kids pick out an unfamiliar item in the produce section they want to try, even if it is new to you. You and your child can learn about the exotic produce item together! There are so many unique fruits and vegetables to discover! Get your young ones involved in meal planning by having them pick the vegetable for dinner and fruit for dessert at least one night a week. When kids have a choice in what will be served to them, they are more likely to eat it! 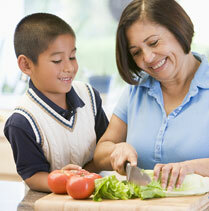 Have your kids be involved in preparing fruits and vegetables for snacks and meal times. 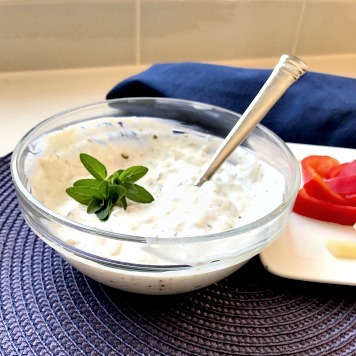 Recipes can be as simple as assembling a fruit and cheese kebab or helping to prepare a vegetable pasta salad. Let your young ones use their VERY creative imaginations to invent fun snacks with a variety of fruits and veggies! It’s important to keep in mind that a fruit or vegetable can vary greatly in taste from one recipe to the next, or when eaten raw compared to cooked. If the first attempt with a new produce item doesn’t go over so well, try something different the next time! Exposing your children to an assortment of fruits and vegetables on a regular basis will only increase the likelihood of them eating more of them! 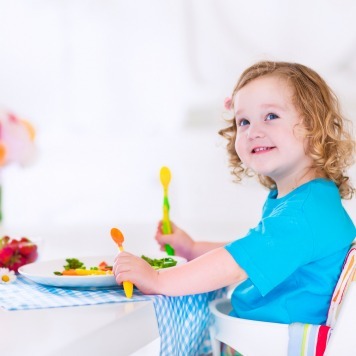 Be the inspiration your kids need to try new foods and get cooking’ in the kitchen! Karman is a Registered Dietitian Nutritionist in Nashville, Tennessee, who specializes in geriatric nutrition, recipe development, and demonstrations. She is certified in Obesity and Weight Management, and enjoys making the most of Nashville’s unique culinary scene and checking out the great music that comes through town!